Learning in Motion features over 100 age-appropriate activities for every week of the school year! Ideal for preschool, kindergarten, and primary classes. Each activity is carefully crafted to attract and keep children's interest by using a multiple sensory approach. All are designed to improve children's learning and behavior! A monthly finder provides a quick and easy guide to selecting activities that meet educational goals throughout the year. A special section suggests activities to reinforce learning the alphabet. Each carefully crafted activity is complete and classroom-ready for easy implementation, including activity goals, time required, educational objectives, materials list, step-by-step procedures, adaptations for children with special needs, and multilevel instruction to match different abilities. Each activity also includes a "Letter to Parents" that may be copied and sent home with the children. These specially tailored letters provide a brief description of the activity, explain the educational purpose behind it, and suggest related home activities to help the children grow. This wonderful book also includes a quick and easy guide to classroom adaptations for children who need a little extra help to meet the everyday challenges of school. 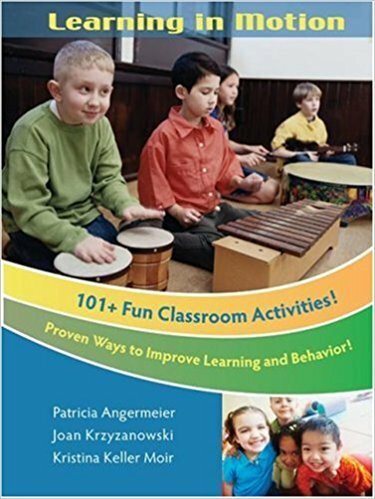 Learning in Motion is the perfect tool for educators who want to help children impove their learning and behavior, including, preschool teachers, kindergarten teachers, primary school teachers, special educators, support personnel, staff development specialists, and early childhood specialists.